With the housing market stagnant, and the banks more reluctant than ever to lend, many homeowners are now choosing to improve rather than move. The benefits to this are many – you get to stay in a home and area that you love, and you save a small fortune in moving costs (which can run into several thousand pounds!). Even if you feel like you’re outgrowing your existing property, there are ways that you can improve the space situation and fall back in love with your house. It’s a fine balance when it comes to bedroom storage. You want enough storage to meet your needs, but you don’t want to overcrowd what can be a fairly small room. At the very least, every bedroom needs a chest of drawers and a wardrobe, but also consider under bed drawers to make use of this dead space. Treating yourself to new bedroom furniture can give you bedroom an instant facelift, but doesn’t have to cost a fortune. 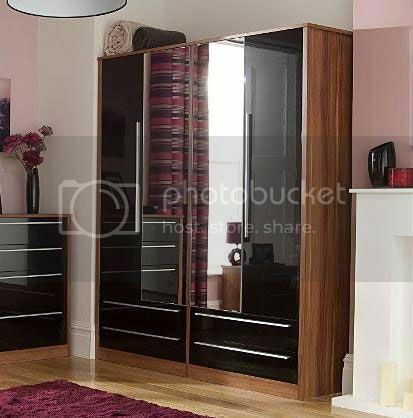 You’ll find cheap wardrobes online at ASDA in both modern and traditional designs. Make the most of even the tiniest bathroom with clever storage. A corner cabinet will fit in even the tightest space. You can also choose multi-tasking storage such as mirrored cabinets. If you dream of a shower room, you can create a shower space by installing a power shower over the bath and adding a stylish glass screen. You may not have an under stairs store cupboard but you can keep your hall uncluttered with a slim line shoe rack. For ‘overspill’ shoes consider a lidded plastic storage box, and keep those extra pairs of shoes and miscellaneous items out of sight – hats, scarves, gloves etc. The lounge is the main family gathering area, which inevitably means that toys, books, DVDs and gadgets will find their way in. Keep toys out of sight in a toy box that won’t look out of place in the main living area. The grey and white ASDA Striped Canvas Tote Storage Box is a good buy and will look great in any room of the house. A slim line bookcase makes a fantastic addition to any room, but is especially useful in a lounge for DVDs, computer games and, of course, books. Alternatively, a TV unit with drawers underneath saves space in a small living room. To make the best of a small kitchen, consider having your appliances integrated for a streamlined look. It’s also possible to create a useable dining space in the smallest of spaces, with a breakfast bar or bistro table and bar stools. If you dream of having a garage but can’t afford to move house, an outdoor store can be a useful alternative. A wooden garden store is great for bikes and scooters, or upgrade your shed for keeping your mower, outdoor furniture and other garden items tidy and protected. When you can easily improve your home with some creative storage solutions, there’s no need to worry about going to the expense and hassle of moving.